The African Union on Friday blasted President Donald Trump for his profane comments about African countries and Haiti, and recalled the U.S.’ history of bringing in slaves from the continent. Mr. Trump used the words “shithole countries” to describe Haiti, El Salvador and African countries in response to lawmakers who suggested they restore protections for immigrants from there, the Washington Post reported Thursday. Trump has disputed the report. 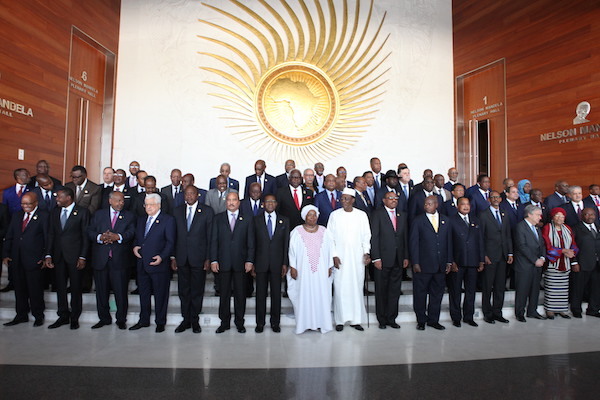 In her statement, Kalonda said the African Union and its partners would continue to address the causes of migration while also fighting against racism and xenophobia. Meanwhile, South Africa’s governing African National Congress party took to Twitter to chide Trump over his “offensive” choice of words. Others responded to the derogatory slur with humour. “Good morning from the greatest most beautiful ‘shithole country’ in the world!! !” Leanne Manas, a news anchor for South Africa’s SABC broadcaster, wrote on Twitter. Your enemy will never change,your enemy will always be your enemy. You should know that AU, stand up for your people. The hands that oppress you, enslave, will never help you to stand up, because there is something called Karma,and they know it. AU and African leaders, why do you continue to be western puppets,greedy, and corrupt. Do something for our rich continent, stop sending our resources to America, India, and China, and even Europe. Wake up!!! AU, UN and other get together clubs are noise makers, Trump is better than them all because he says it openly but African leaders preach love and practice hate, slavery and betrayal. How can you not do anything to Libya? The continent is a failed agenda, can we check other important stuffs here please?